Flexible online learning with the power to change your life. We offer a high quality, low cost path to college credit in a flexible online learning environment with live interactive and recorded classes. As one of the nation’s leading online learning platforms, we provide customized education solutions that are an alternative to the rising cost and debt of education. Since 1999, over 20,000 individuals nationwide have enrolled into our programs in pursuit of a fast-track path to earning a degree. 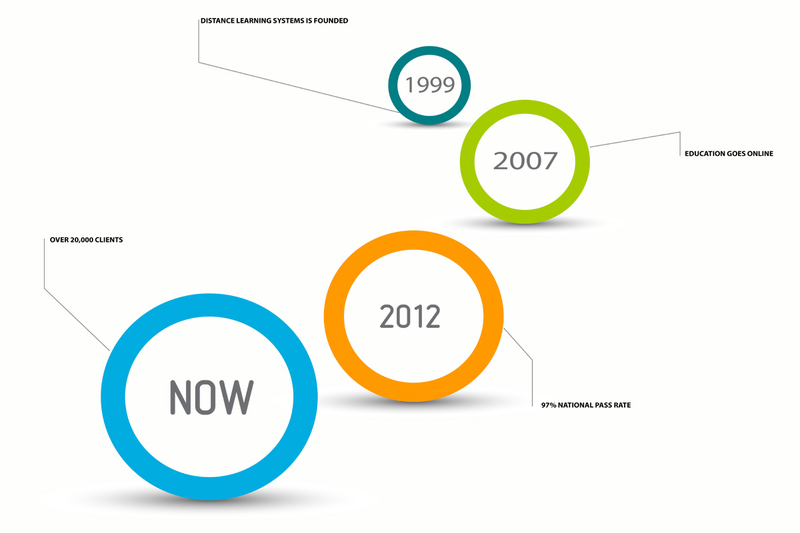 When Distance Learning Systems was founded in 1999 it originally focused on educational publishing, specializing in preparing individuals to pass nationally standardized proficiency exams. In 2007 the company expanded to an online learning platform so that it could provide innovative customized educational solutions and programs. Today we offer the most flexible online learning environment for those looking to earn college credit through credit-by-exam or credit-by-course. If you don’t pass your second time. Programs that fit any schedule. We believe in providing affordable and convenient access to higher education while achieving standards of excellence through our cores values of innovation, passion, empowerment, ethics, and respect. Our team of instructors and academic support are available to answer any of your questions because we are committed to you passing and earning college credits for your degree.